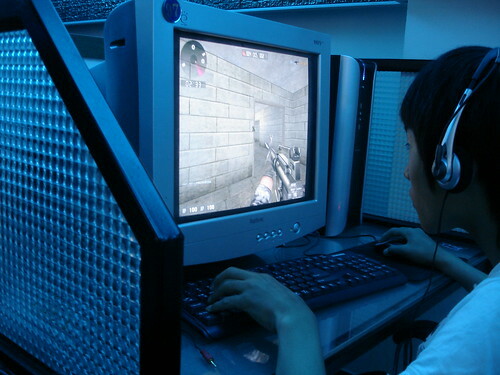 As I mention at the end of my book chapter about South Korea, I point out some of the darker sides of an extremely wired country where kids are addicted to the Internet and MMORPGs. About 10 days ago, there was a tragic murder and suicide that has emerged on the peninsula over a dispute concerning a video game. This is just the latest example of how truly obsessive this country can be. A 15-year-old boy allegedly killed his mother after being scolded for excessive computer game playing, then took his own life at his home in the southern port city of Busan, police said Tuesday. The 43-year-old mother, identified only by her surname Kim, was found dead in her bedroom by her 12-year-daughter at around 7 a.m.
Tuesday, police officials said, adding the son, a middle school junior, was also found hanging from a gas pipeline in an apparent suicide. Cyrus Farivar's The Internet of Elsewhere (Rutgers University Press, May 2011), is a book about the history and effects of the Internet in Senegal, South Korea, Estonia and Iran.